DFL announces 2017/18 Bundesliga schedules: FC Bayern München open campaign against Bayer 04 Leverkusen. Champions FC Bayern München will kick off the 55th Bundesliga season against Bayer 04 Leverkusen on 18 August (20:30 CEST). The opening game of the Bundesliga 2 campaign will be on Friday, 28 July (20:30 CEST) as VfL Bochum 1848 host FC St. Pauli. 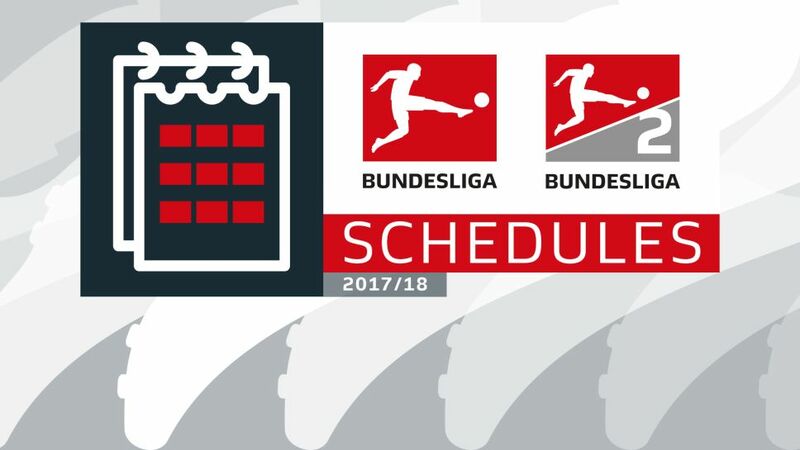 The complete schedules are available now at schedule.bundesliga.com and www.bundesliga.com. The precise timings for the first matchdays of Bundesliga fixtures will be announced the week commencing 10 July. Those for Bundesliga 2 will be announced in the first week in July. Precise timings for the remaining matchdays will follow over the course of the season taking into account the appearances of clubs in European competitions and the DFB Cup.